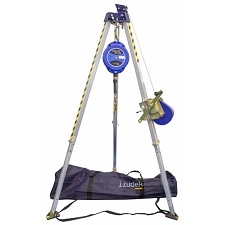 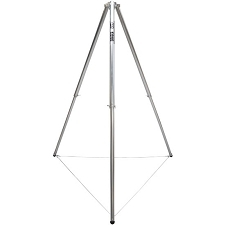 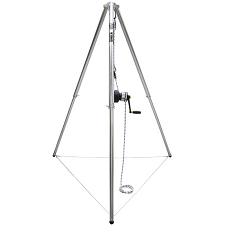 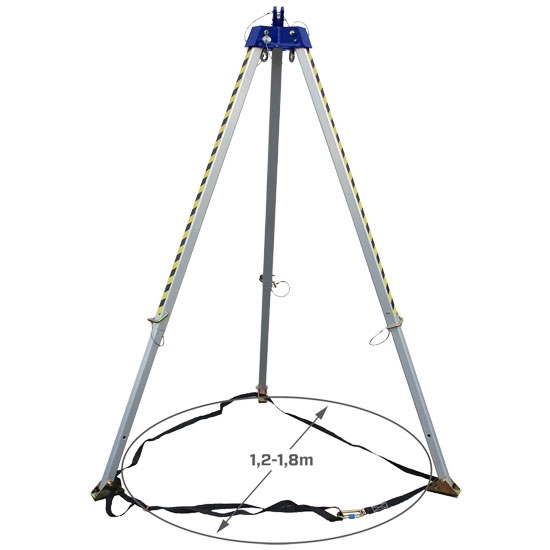 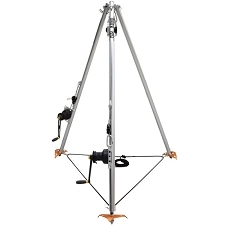 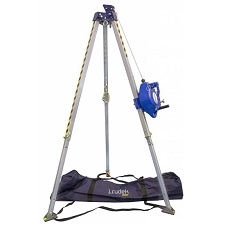 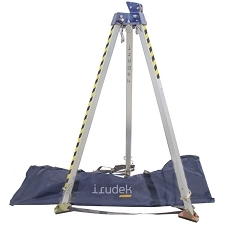 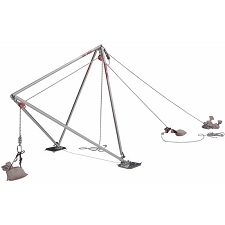 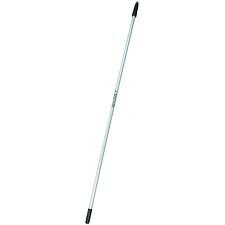 Aluminium tripod with adjustable height for working in confined spaces and rescue operations. 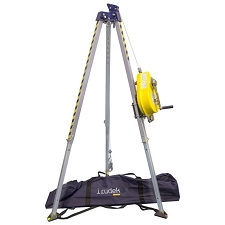 Easy to transport for rescue operations. 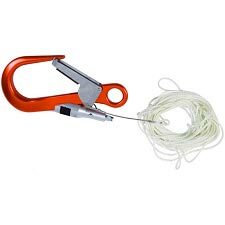 Pulley in upper section for cable on winch attached to leg.